Our White Elite Gauge Series come packed with a collection of features including a white gauge face, clear lens, 10 selectable colors, as well as self-calibration and stepper motor technology. Each White Elite 10 Color Gauge is driven by a microprocessor controlled Swiss stepper motor which ensures accurate readings from the engine to your gauge. When powering your gauge on and off, you will be alerted with a startup or shutdown sequence that guarantees your gauge is functioning properly.The peak recall function will display your last peak value for added monitoring of your levels. 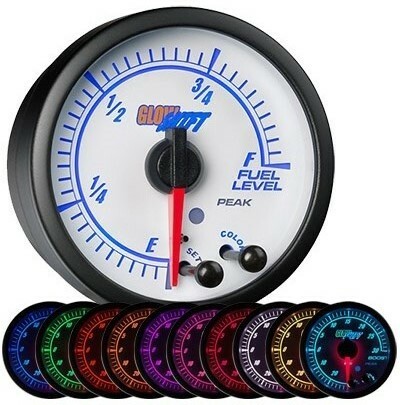 If you wish to be alerted when reaching a critical level, our Elite Gauges will allow you to program your own high and low warning points which will alert you visually and/or audibly when you reach that set level. Modular power connections allow you to power each gauge with a single power wire and single wire electronic sensor connections for a quick and seamless installation. 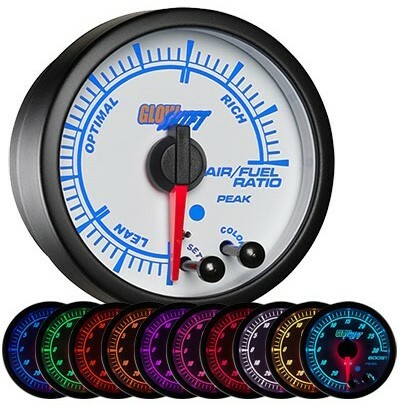 Our White Elite Series Gauges are available in several different versions that vary from Boost Gauges, Air / Fuel Gauges, Pyrometer EGT Gauges, Fuel Pressure Gauges, Temperature Gauges, Oil Pressure Gauges, volt meters, and many more! Each Elite White Elite Series gauge is electronically driven and comes included with all sensors, wiring harnesses, mounting hardware and instructions, as well as a one year limited warranty and free lifetime technical support. 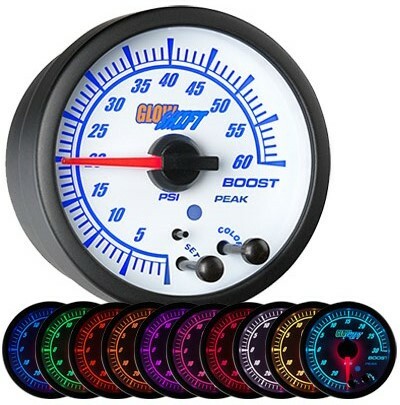 Take a look at the 10 Color LED White Elite Gauge Series styles we offer below to select the performance gauge you need for your car or truck. 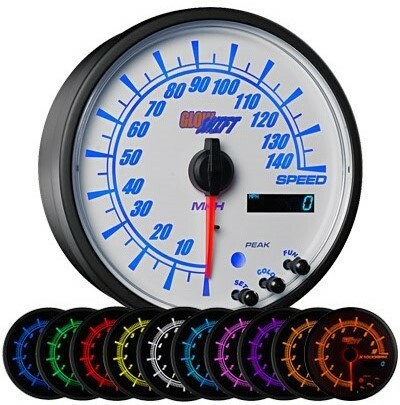 Click here to return to our mainGauge page for other great styles like our 10 Color White Elite Gauge Series!